The Center provides a platform for exemplary training and research experiences for students at all levels of learning. The Center for Biodiversity Outcomes relies on the collective impact of multiple disciplines, values and approaches to advance the science and protocols used to address biodiversity challenges. 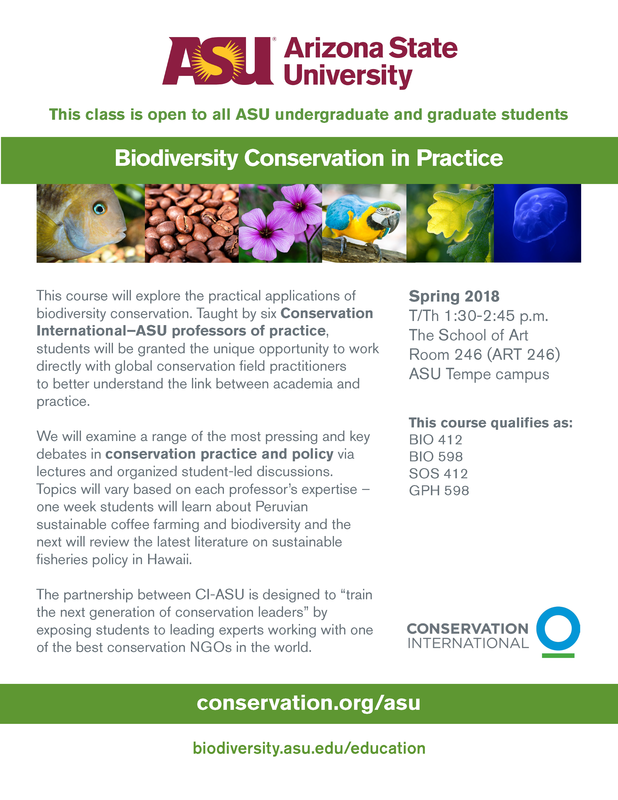 This course is designed for undergraduate and graduate students interested in exploring practical applications of biodiversity conservation. 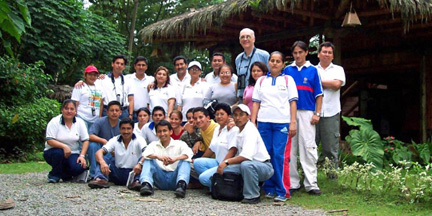 Taught by six ASU-Conservation International Professors of Practice, students will be granted the unique opportunity to work directly with global conservation field practitioners to better understand the link between academia and practice. Scientists must go beyond publishing in journals if they want their research to be relevant to society. However, academic training rarely covers how to communicate with the press, the public, policy makers and other relevant stakeholders. 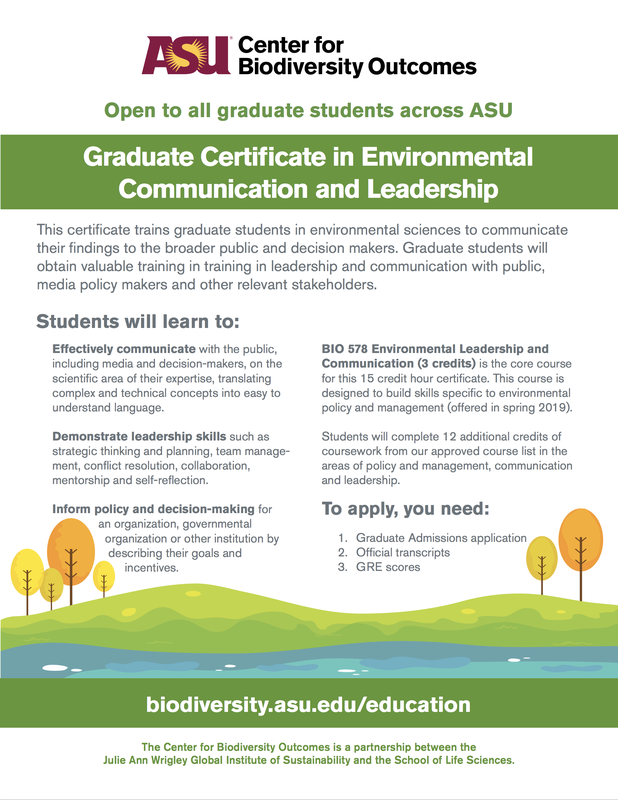 This certificate program gives graduate students in environmental disciplines the important leadership and communication skills needed to increase their influence and reach above and beyond academia. Understanding the role nature plays in sustaining life is critical to the survival of the planet, but that information is less accessible to younger generations, especially underrepresented youth. The social inequality created by this potential lack of understanding has broad implications. CBO develops innovative education programs that provide environmental and ecological literacy.